Don’t know the source of this quote, but I found it somewhere. Seems like a good way to live one’s life….if there’s an inconsistency in the message, perhaps one should question a little further the person sending that message. This doesn’t mean that inconsistencies equal untruths (although in the Tidbits example above, there’s a giant caveat emptor! ); it only means the reality may be a bit more complex than is being presented. 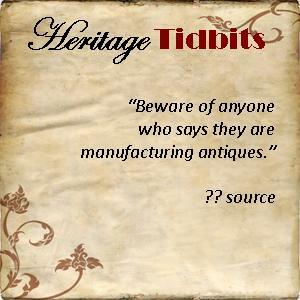 This entry was posted in Profound And Not So Profound Thoughts and tagged Heritage Collectibles, inconsistency, tidbits. Bookmark the permalink.